There have been so many privacy breaches and data leaks over the past couple of years that users have become numb to them, and social media sites have been scrambling to handle these issues before they truly end up getting out of hand. Instagram’s latest update may be giving you the security that you truly need. 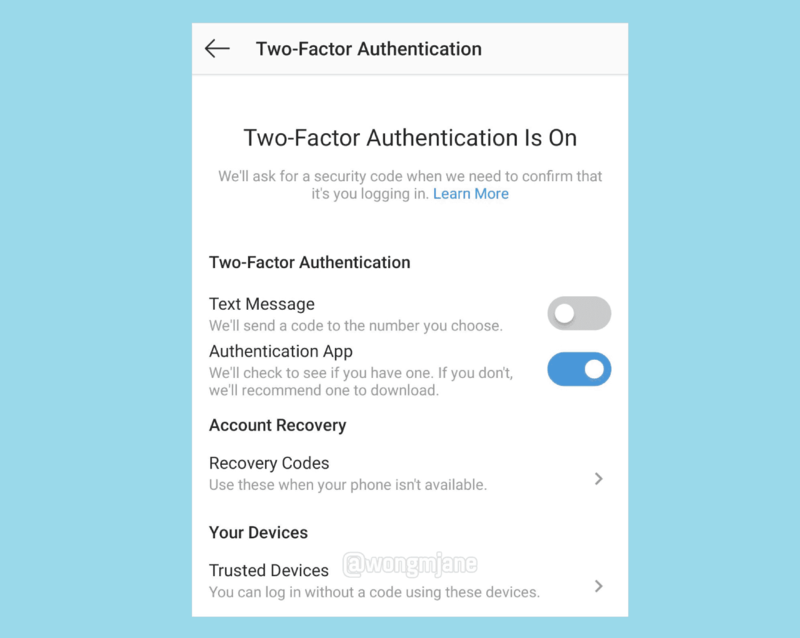 A new feature that has been spotted on Instagram involves an update to two-factor authentication for your account. You will soon be able to add Trusted Devices to a list that will be maintained regularly. If you are trying to access your account from one of these devices, the two-factor authentication is not going to apply and you will be able to access your account more easily. While this is certainly going to be convenient for a lot of users, others have criticized this update, stating that it makes the two-factor authentication less effective because of the fact that a stolen device could lead to your account becoming compromised in some way. Instagram might have a fix in store for this sort of thing, but we will have to wait and see if this problem even ends up getting addressed.